Nut butter and nut milks are on the rise - in fact - any products with nuts seems to be growing in popularity thanks to the high energy and nutrition given by the ingredient. 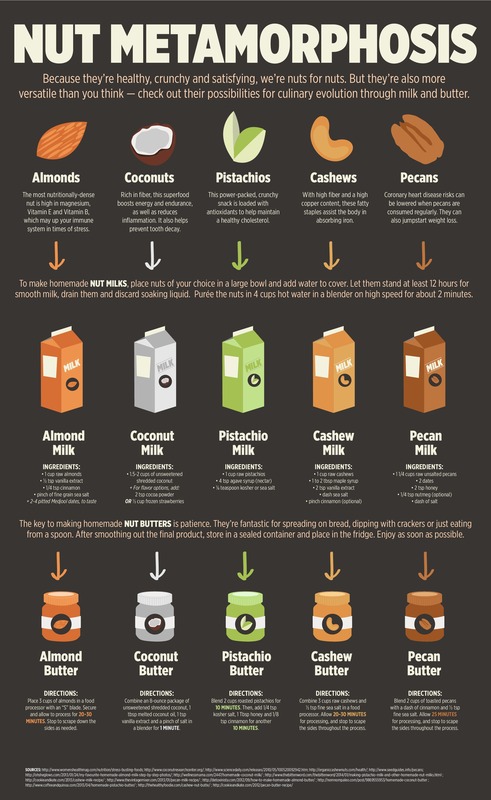 This infographic from Kaitlyn Richert looks at nuts with a particular focus on nut butters and milks. It starts by offering up some of the most popular nuts for cooking before explaining how to make butter and milk using each one. It’s a really simple infographic with basic suggestions but it’s a great place to start if you’re looking to inject some nuts into your diet.